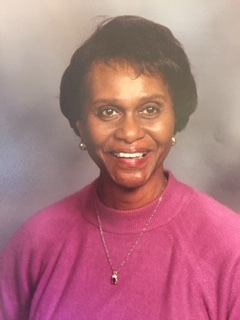 Tempie Anita Durden Jones long time resident of Seattle and Indianapolis passed away March 15th 2019 just 2 days prior to her 85th birthday. She was born in Lufkin TX in 1934 and was brilliant and beautiful, a beloved mother, grandmother, friend and mentor to many. Pre-deceased by her parents Rev. Lewis M Durden and Rev. Vera (Hunter) Durden. Survived by her sister Janice Oden (William), children Marcus Jones (Lori), Bruce Jones (Angela), Jon Jones (Cathy) and Millicent Jones-Smith (Walter) several grandchildren and great grandchildren. A memorial service to celebrate her life is Tuesday 3/26/19 at the New Beginnings Christian Fellowship church in Renton WA. Family and friends are welcome to leave their condolences online. In lieu of flowers please consider a donation to PBS Public Television , NPR or other charity of your choice.